One of the country’s leading scientists and former ISRO chairman, G Madhavan Nair, has just propounded the theory that some shlokas in the Vedas mention the presence of water on the moon. That alone is strange! Buit he also revealed that astronomy experts like Aryabhatta knew about gravitational force much before Issac Newton. The 71-year-old Padma Vibhushan awardee said the Indian Vedas and ancient scriptures also had information on metallurgy, algebra, astronomy, maths, architecture and astrology way before the western world knew about them. Speaking at an international conference on Vedas, he however, added that the information in vedas was in a “condensed format”, which he said made it certainly very difficult for modern science to accept it. “Some sholkas in one of the Vedas say that there is water on the moon but no one believed it. Through our Chandrayaan mission, we could establish that and we were the first ones to find that out,” Mr Nair said, adding that everything in the Vedas could not be understood as they were in chaste Sanskrit. 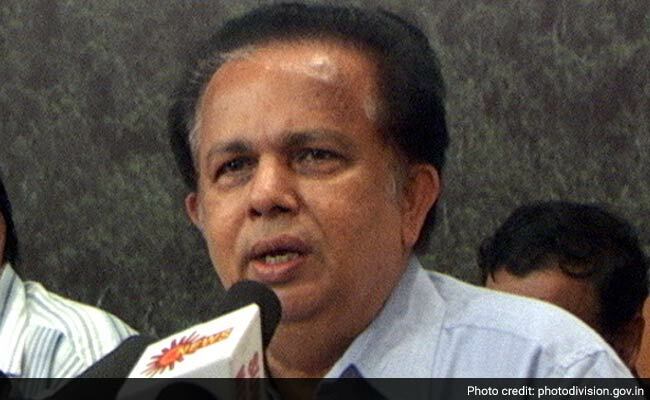 File picture of former ISRO chairman G Madhavan Nair. He also talked very highly about fifth century astronomer-mathematician Aryabhatta, saying, “We are really proud that Aryabhatta and Bhaskara have done extensive work on planetary work (sic) and exploration of outer planets. It was one of the challenging fields,” said Mr Nair.”Even for Chandrayaan, the equation of Aryabhatta was used. Even the (knowledge of) gravitational field… Newton found it some 1500 years later… the knowledge existing (in our scriptures),” he added. Mr Nair, who was ISRO chairman from 2003 to 2009, also claimed geometry was used to make calculations for building cities during the Harappan civilisation and that the Pythagorean theorem also existed since the Vedic period. Mr Nair’s come against the backdrop of many BJP leaders talking about ancient Indian scriptures having scientific information, including on plastic surgery and aero-dynamics. “The Vedas had a lot of information in the field of space and atomic energy. We were fine until 600 BC. Then came the time of invasions till Independence. Since then, we are growing. We deciphered the atoms for peaceful use,” Mr Nair said. While serving in ISRO, Mr Nair had made significant contributions to the development of multi-stage satellite launch vehicles. “As a scientist, I would say that the computations evolved those days were really fantastic. The Vedanga Jyotisa (one of the earliest books on astronomy) is one of the texts, which is evolved in 1400 BC… this is all recorded,” he said.